Glory Outreach Assembly exists to glorify God through pursuing the great commission. In so doing GOA Invests resources and time in the young generation for the compassion work in the society. During the December 2018 GOA International Youth Summit at Tumaini Nyandarua County, the delegates had an opportunity to share the gospel with the community through open air evangelism. The season was rainy. On our way to the local shopping centre for the open air meeting we met Paul, from the locality who is crippled. Together with the other we, watched him crawl through the mud with a lot of difficulty. Seeing Paul crawl through mud made me feel the need to help him find a wheelchair to help him move around I shared the need with the other young people from Nyeri region and asked them to help me celebrate my birthday by finding a wheel chair for Paul. The initial steps did not seem to drive towards any better results. In no time friends and family members began asking about Paul. A few days Work Foundation, an organization that helps the less fortunate in the community accepted to partner with us in making the dream come to fulfillment. 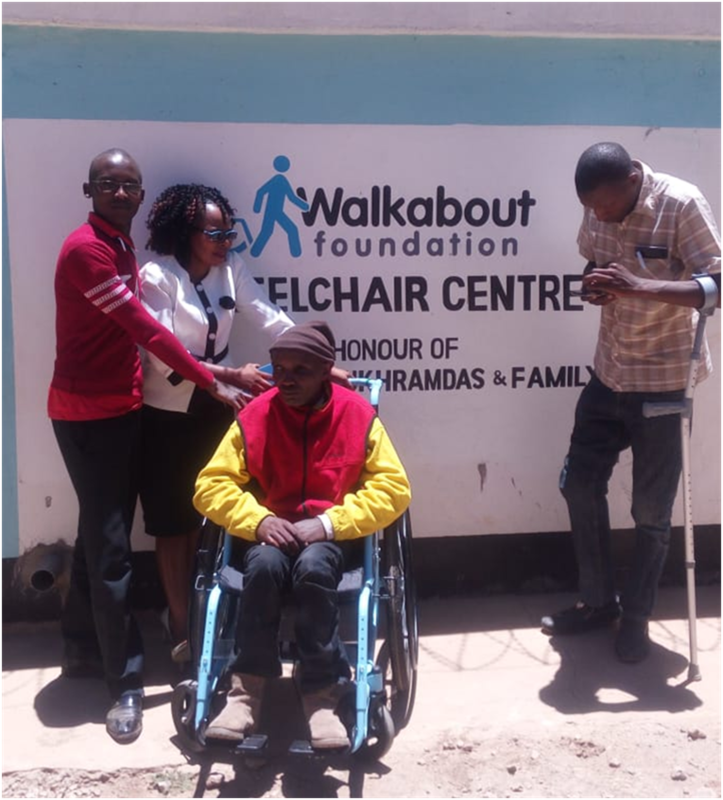 On 1st March 2019, in Nanyuki Kenya Paul received his wheelchair. Paul could not be easily accepted on regular public transport motorbike, bodaboda due to his challenging condition. He would have to crawl for long distances if he needed to do anything personal or even visit a friend.